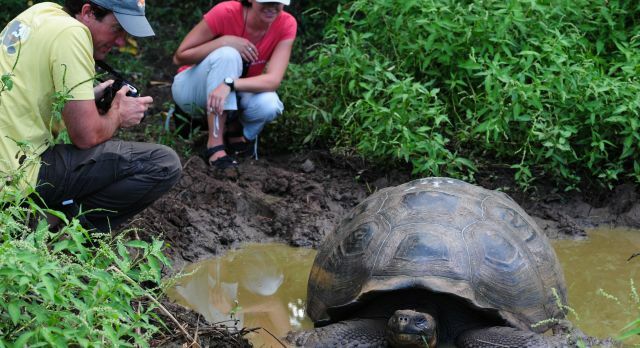 Embark on a Galapagos Islands Tour. Untouched, delightful and quirky. There’s no better way to explore Darwin’s Heaven of the Galapagos Islands than a unique cruise. In 1835, a historic voyage took place when a young Charles Darwin ventured to the Galapagos Islands. The rumors have it that this is where Darwin developed his famous theory of evolution. 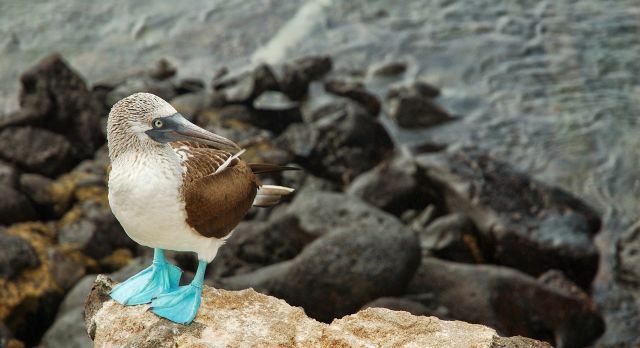 Expect the largest collection of endangered giant tortoises, dragon-like marine iguanas, and the poster child of the Galapagos Islands – the blue-footed boobies! Straddling the Equator, this destination may be remote, but it has become a favorite spot for travelers seeking surprise encounters with non-predatory wildlife and fabulous fauna. 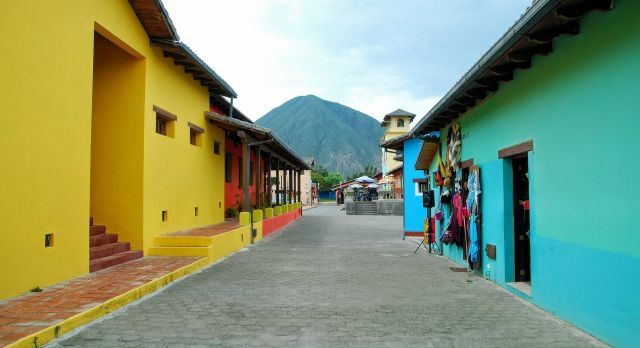 Begin your Ecuadorian adventure in the calm capital of Quito, paying homage to this tiny country’s colonial Spanish history where you can enjoy the various UNESCO World Heritage sites; or in Guayaquil, the main harbor and economic engine of the nation. 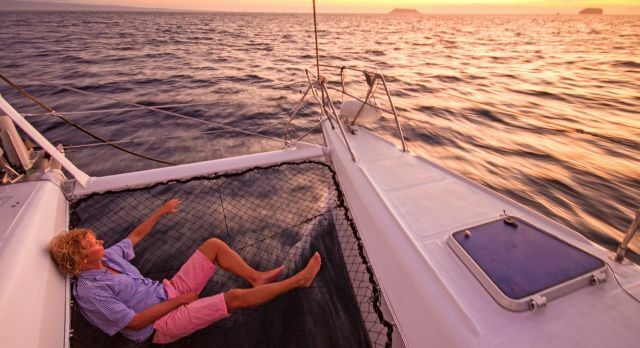 From there, fly to Baltra or San Cristobal and board a ship to cruise around the natural and marvelous islands. Live an intimate sailing experience as you hop from each volcanic land form, and embark on adventurous journey with expert naturalists. The main cabins of the Catamaran Lonesome George, named after a Pinta Island turtle that became extinct in 2012, is a great accommodation choice for exploring the Galapagos Islands. It’s a small yet comfortable ship accommodating 16 guests. Each cabin boasts air conditioning and a private bathroom with hot water. With a supportive crew and a naturalist bilingual guide on board, you will feel well cared for. Aside from the main deck with its wonderful sea views, the ship comes with a bar and solarium. The Lonesome George is one of the few catamaran cruises authorized by the Galapagos National Park to offer a diving itinerary. Divers are invited to take part in the land expeditions too. Vigorously protected by UNESCO, the islands have barely changed in centuries and are sparsely populated by humans, ensuring a harmonic and incredibly bio-diverse ecosystem. What makes the Galapagos Islands so special is the fact that wildlife potters all around you, whether it is warblers, mockingbirds, owls, egrets and even tortoises – and your standard definition of a beach is challenged with their wonderfully striking hues and colors. There are islands fully covered by volcano lava paths, mangroves and pirate coves that you can discover with a dinghy or sea kayak excursion, or you can go snorkeling and diving to observe sea lions, sleeping reef sharks, humpback whales, orcas and dolphins! If you are a bird lover, the seven foot wingspan of the resident albatross, and the socially awkward mating dance of the boobies are sure to delight. 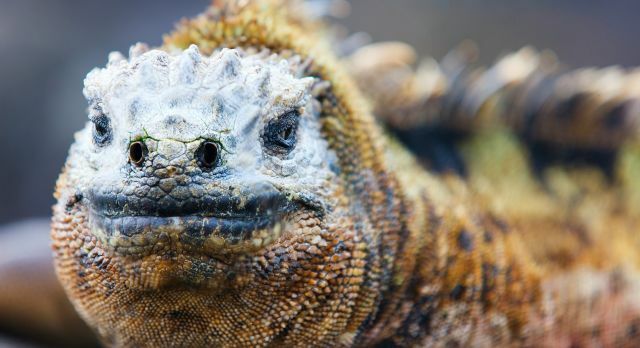 Finish up your Galapagos Islands adventure in Ecuador’s largest city, Guayaquil; where downtown in the main plaza of Simon Bolivar, you might meet some peculiar locals: iguanas! Travel any time from mid-June to September or mid-December to mid-January. If you wish to avoid the crowds, we recommend that you travel during the rainy season (mid-January to May) when you can enjoy blooming flowers and surprisingly sunny skies. It’s also a great time for mating flocks and for witnessing nesting sea turtles (March to May), and sea lion pups (March/April).